A JURY has returned a verdict of not guilty by reason of insanity in the trial of a County Kerry man accused of holding three people hostage at gunpoint at a Sixmilebridge residence last year. Thomas Howard (50) of Gortnaminch, Listowel pleaded not guilty by reason of insanity to having a shotgun in his possession with intent to cause robbery, three counts of false imprisonment of a father, daughter and her fiancé and two counts of robbery on July 2, 2015 at Donnybrook Cottage, Sixmilebridge. He also pleaded not guilty by reason of insanity to an eighth count, which was the theft of an over and under double-barrel shotgun from a property in County Limerick on a date unknown between June 29, 2015 and July 2, 2015. Detective Garda Roddy Burke told Ennis Circuit Criminal Court on Thursday that matters unfolded at 4.45pm on July 2 last, when a lone male armed with a double-barrel shotgun, wearing a balaclava and dressed in dark clothes, approached Tadhg Corbett, who was gardening at the property in Sixmilebridge. Garda Burke explained that the owner of the house, Patrick Glynn, a former solicitor and former president of the Law Society of Ireland, was in the house at the time but unaware of events that unfolded on his property. The court heard that Mr Howard pointed the gun at Mr Corbett and demanded money and keys of a car. He then held Mr Corbett, who was 68 at the time, hostage at the back of the house for two hours after Mr Corbett told him he did not own the car parked at the house and he had no money. Detective Burke said Mr Corbett told the accused that his family were due to collect him and Mr Howard believed this would enable him to get keys to a car and money. Mr Corbett’s family were getting concerned as 7pm loomed, Detective Burke said, and so his daughter Elaine Corbett and her fiancé Declan Finn went to Donnybrook Cottage, arriving at 7.30pm. They parked outside the house and walked up the avenue. “As they approached the house, Declan Finn could see Mr Corbett sitting on a garden chair in the back garden. He appeared to be talking to someone but he couldn’t see anyone. It was a good day; it was dry and very bright. As he approached, Mr Howard came out from behind the trees and pointed the shotgun at him,” Detective Burke said. He said that he demanded both Ms Corbett and Mr Finn’s mobile phones and cash and they handed over their phones, along with €220 and £150 sterling. “After he obtained the phones, he decided to tie Declan Finn up and directed Ms Corbett to tie him to a chair, so Declan Finn sat on a chair, while his fiancée tried to tie him to the chair,” Detective Burke said. However, he explained that due to her nerves Ms Corbett could not successfully do this and Mr Howard then directed them to the back of the house and directed Mr Finn to sit on a chair facing the back wall of the house and directed Ms Corbett to sit on his lap. Mr Corbett was standing up looking on. Mr Finn was then struck on the back of the head and then struck again with the gun,” he continued. Ms Corbett jumped from Mr Finn’s lap and Mr Finn and Mr Corbett tried to grapple with Mr Howard. “Mr Finn, along with Ms Corbett and Mr Corbett, pushed the accused towards a timber garden fence 4ft from where they were sitting. The fence stopped Mr Howard and a struggle ensued. The fence broke and Mr Howard fell on the ground and Mr Finn landed on top of him. The shotgun was lying across Mr Howard’s chest,” Detective Burke said. The court heard that the gun was loaded at the time and that the three captives believed it to be loaded throughout the incident. A struggle continued between Mr Finn and Mr Howard and Mr Finn was able to restrain him with his body weight and by pinning him with the shotgun across his chest. “Mr Howard made repeated requests to be freed,” Detective Burke outlined. He said they removed Mr Howard’s balaclava and he asked them to release him because he wanted to take his own life. Mr Finn refused to let him go and Ms Corbett removed her phone from Mr Howard’s pocket and contacted the gardaí. The court heard that Mr Howard was still holding the gun and while Mr Finn was on top of him, Mr Howard discharged a shot from the gun. At the time, Detective Burke said the gun was facing into a back field and no-one was injured. He said that the purpose of this shot, according to Mr Howard, was to distract Mr Finn so he could get free. “After the shot, he knew Mr Finn was still in charge of him and allowed Mr Finn to remove the gun,” Detective Burke said. Mr Corbett took the gun away from Mr Howard. Detective Burke said the injured parties in the case described Mr Howard as agitated at the time and he was not speaking in full sentences. He also kept repeating himself, saying that he wanted the keys to a car and money, even though he had got money from them. “They were still highly afraid of him,” Detective Burke stressed. Detective Burke and his colleagues arrived to the scene at 8.12pm and he said he could see Mr Corbett was visibly shaken; he was hardly able to speak. He went to the shotgun and could see that one shot had been discharged and there was one unspent cartridge and he made the gun safe. He said Mr Howard was seen by a doctor on the same date following his arrest as he said “he didn’t seem with it” and there were concerns about his mental health from the outset. He told the court that Mr Finn received treatment for a laceration to the head, which required 10 stitches, and he had also sustained a fractured knee in the incident. The court heard that Mr Howard was in Sixmilebridge for 24 hours before the incident took place. He had only some fruit to eat and had drank water from troughs in fields. He said he had two reasons for being there, one was to either take his own life or the second was to commit a robbery. This, he said, was because he had acquired debts of €6,000 and felt he had no other option but to carry out these acts. Mr Howard had been living with his partner in Rossbrien in Limerick at the time and working as a farm hand in County Limerick. 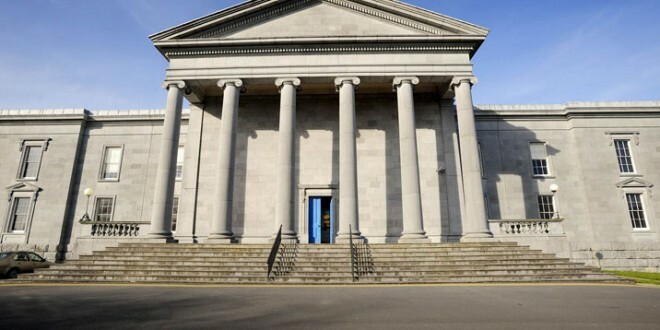 Forensic consultant psychiatrist Dr Paul O’Connell of the Central Mental Hospital in Dublin gave evidence of seeing Mr Howard, having been asked to do so by the State. He prepared a report on his mental state of mind at the time of the offence and, in his expert opinion, Mr Howard suffered from depression. He said that the accused man’s state of mind was such that he was unable to refrain from committing the very serious offences that occurred at Donnybrook Cottage, as well as the theft of the shotgun. This fit criteria set out in section 5 of the Criminal Law Insanity Act 2006. Dr O’Connell said Mr Howard’s ability to exercise willpower was compromised, as he was not able to think of alternative options other than the narrow set of either taking his own life or committing robbery. “He was experiencing such mental illness that he could not exercise his free will,” Dr O’Connell said. He said Mr Howard’s “judgement was grossly impaired”. “The depression impacted on his thinking, his ability to reason and to regulate his emotions”. He added that Mr Howard was aware of his actions at the time, as this was premeditated, but he felt there may be some concern over whether he knew what he was doing was legally and morally wrong. However, he could definitively say that Mr Howard was not able to exercise the free will to refrain from committing the act. The jury were told the facts in the case were fully accepted by the accused man and that there was no competing psychiatric evidence in the case. They were informed that they could return one of two possible verdicts, that of not guilty by reason of insanity or guilty. Judge Gerald Keys, presiding, addressed the jury on the law and explained that the facts in the case and the doctor’s evidence were undisputed and he directed the jury that in the absence of any conflicting evidence, the facts in the case and the doctor’s evidence must be accepted. He said the court was told that Mr Howard was suffering from depression and “although he knew what he was doing was wrong, his free will was impaired by his depression and his only options were the catastrophic options of committing the armed robbery or to take his own life”. After considering the matter for 16 minutes, the jury returned a verdict of not guilty by reason of insanity. Mr Howard was remanded on bail, pending the availability of a bed at the Central Mental Hospital in Dublin, where he will receive psychiatric assessment. In the meantime, he is to receive psychiatric care from a multidisciplinary psychiatric team in the community.